Every girl knows that lack of sleep and stress are both enemies of good skin. We're all just sliced apples, gradually browning from the inside out due to oxidation. What a charming thought. Antioxidants help to disable the chain reaction that allows free radicals to cause oxidative stress by damaging important cells such as DNA. The body produces its own antioxidants for this purpose but eating a diet rich in fruit and vegetables has been shown to provide additional protection against ageing. 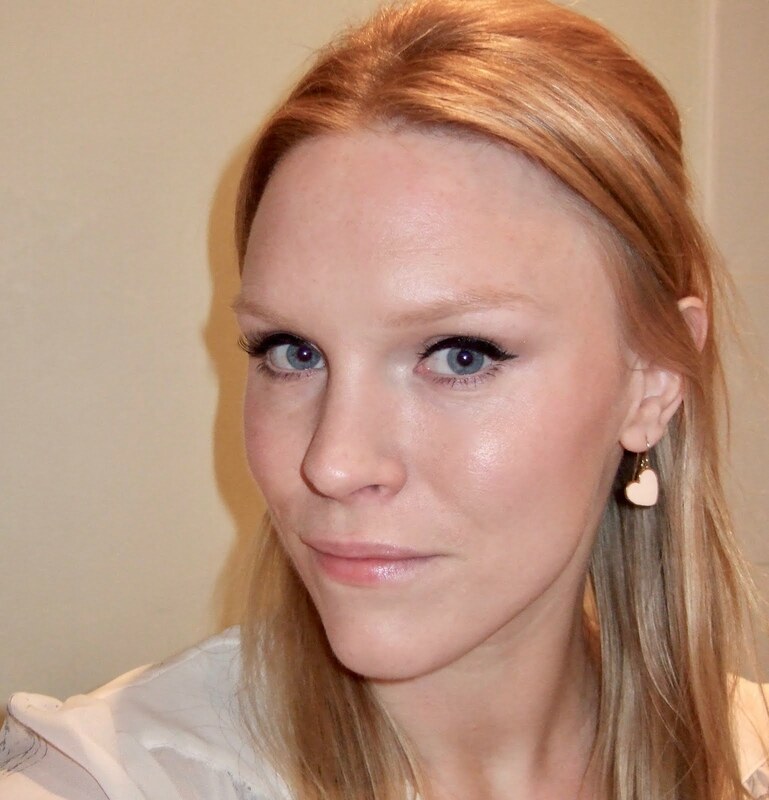 Skincare brands are also wising up to the benefits of antioxidant-rich moisturisers and serums. 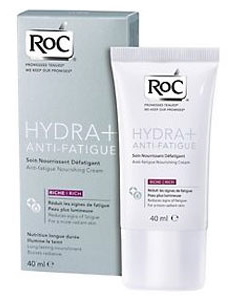 I was sent two RoC Hydra+ Anti-Fatigue moisturisers to test on my dry, fussy skin – one 'rich' and one 'light'. I've been using both products for nearly two months and (amazingly) my skin hasn't crisped up like it normally does when the temperature drops. I've also had very few blocked pores or spots. The blurb says these moisturisers contain 'a patented cocktail of antioxidants ginkgo biloba and glucan to help protect skin cells from the damaging effects of stress and also reduce common signs of fatigue such as tightness, dullness and uneven skin tone'. As you'd expect, the 'rich' cream is a bit thicker (it contains shea butter) and takes a second longer to sink in. Now that it's chilly outside I've switched to mainly using this. Both creams feel really soothing. The only downside I've found to both products is their tendency to 'pill'. If I apply a bit too much or try to put makeup on straight away they sometimes roll off my skin in little shreds. It's not a big deal and it only happens sporadically but it's mildly annoying. There's no SPF in either product though, meaning you could happily use them at night when this wouldn't be a problem. Oh God, I *hate* "pilling"! I don't like it when it's because I'm using multiple products that are incompatible with each other, but it's so frustrating when it's just one product that does it on its own.. I always wonder whether the company bothered to actually test it. Takes soo much time to try to get those darned bits off my face, always happens when I'm late as well. Helen, I am so with you. I don't understand why it sometimes happens and sometimes doesn't even when I have a face barren of product! Other than that, these are great moisturisers! Annoying.